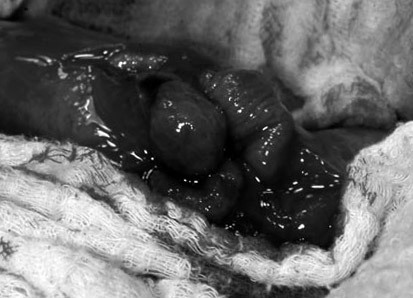 Dog stomach blockages (also called gastric outflow obstruction) occur when the stomach has trouble emptying its contents. The pyloric canal is a stomach outlet where inflammation and scarring block the pyloric canal. There are two forms, complete and partial. In younger dogs, a condition called pyloric stenosis, where there is a narrowing between the stomach and the small intestine is a common cause of any blockage. The condition causes fluids to accumulate in the stomach. When the dog vomits it results in the loss of fluid, causing dehydration and other symptoms. When the small intestine is obstructed vomiting also results. Neoplasia: (rare in dogs). Neoplasia are tumors that grow and obstruct the gastrointestinal system. 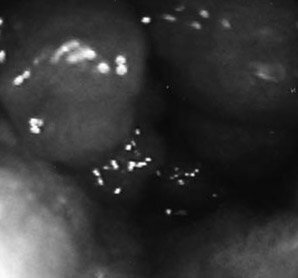 These multiple adenocarcionma (type of neoplasia or tumors) masses were diagnosed based on biopsies taken endoscopically. Gastric outlet obstruction was almost complete in this case. Foreign bodies and bezoars also can cause an obstruction, often in younger dogs. Acquired Antral Pyloric Gastropathy: affects middle aged and small breeds. The disease causes enlarged (hypertrophic) mucosa (membrane that lines the stomach) and the circular smooth muscle. Dogs with flat faces (brachycephalic) can get a condition called congenital pyloric stenosis. Affects any brachycephalic breed such as bulldogs, boxers and Boston terriers). If the stomach is only partially blocked then one symptom is vomiting more than 12 hours after eating. Vomiting should be differentiated from regurgitation. Vomiting food 8 hours or more after eating is consistent with gastric retention. Regurgitation after eating is not. You might see blood and partially digested food. If completely blocked then your dog will vomit forcibly right after eating. 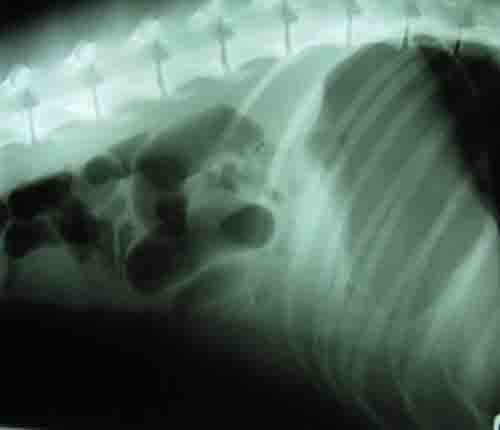 A dog stomach blockage is diagnosed with X-Rays or ultrasound. Other tests include a Gastroscopy or GI series, blood and urine tests. 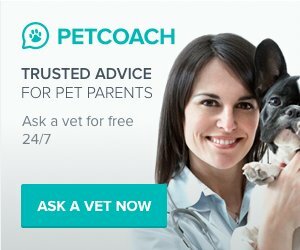 The veterinarian will look for abdominal pain, signs of dehydration, or any abdominal masses. The veterinarian will look in the mouth for any foreign bodies. Surgery is used to correct the dog stomach blockage or obstruction. Sudden intestinal obstructions are treated as an emergency. Intravenous fluids are needed to rehydrate the patient and to provide circulatory support. If surgery is used, patients are monitored for peritonitis (inflammation). Dogs with obstructions caused by foreign objects are often repeat offenders and will need to be monitored. The prognosis for an obstruction or dog stomach blockage is good to excellent in uncomplicated cases. The prognosis is initially guarded where there is any perforation of the intestines. Any folding of the peritoneum that attaches the stomach, small intestine, pancreas, spleen and other organs to the posterior wall of the abdomen leads to a poor to grave prognosis.